There’s something about the holidays that always makes me feel an uncharacteristic surge of hometown pride. This news might not be particularly shocking if I grew up somewhere with the unsurpassable charm of Paris, or the breathtaking beauty of the Swiss Alps. It wouldn’t even be surprising if the place I called home was Manhattan– there’s nothing wrong with running back to the most interestingly diverse city on earth! But the lust I feel when I arrive in Glen Head, New York, is almost inappropriate, given (a) the appearance of the strip of shops that Glen Headers call “town”, but is actually just a sad looking block with a Chinese take-out place and a nail salon (b) the fact that I don’t spend my time in Glen Head doing anything more nostalgic than smiling in a bored-and-annoyed sort of way when I drive past my high school (c) that the town I’m actually feeling this overwhelming delight for is not Glen Head at all, but the neighboring town of Sea Cliff. About a six minute drive from Glen Head, the entire town of Sea Cliff is only one square mile, and is in fact, perched on a cliff overlooking the sea. 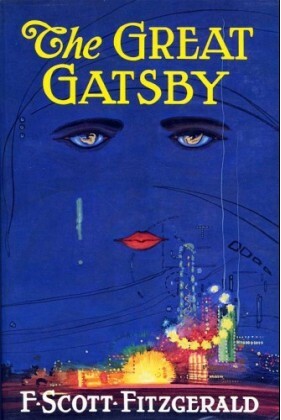 The sea is, of course, the now-polluted Long Island Sound; and the cliff is a bit weathered, so the town’s Victorian houses don’t float majestically above the water as they did in its heyday (town lore has it that Sea Cliff, not Manhasset, is actually the East Egg of Gatsby fame). But literary prestige or not, Sea Cliff has a singularly lovely appeal that’s evident in every inch of that square mile, from the carefully manicured baseball fields to the deli that is as iconic (if exceedingly more popular) as the tiny town history museum. Sea Cliff certainly has it’s own brand of charisma, and with residents such as Natalie Portman and GooGoo Doll Johnny Rzeznik I don’t think the town needs my help attracting any new blood. While I’m happy to sing the praises of this little town by the sea, I’ll stop with my wistful tales of summers spent playing in backyards, trying to lick popsicles faster than the sun could melt them, and countless other sweet, happy, memories. It’s time to put sentiment aside because Sea Cliff is home to something far more interesting than a few kids holding sticky ice pop sticks: Sea Cliff is home to Pirate’s Booty. Pals who are all from East Egg. 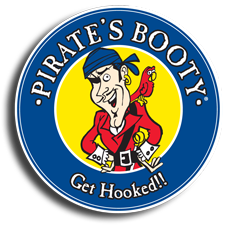 That’s right, Pirate’s Booty, Greatest Cheesy Snack to come out of our (fleetingly) great country, was founded and has remained, through its worldwide popularization, in Sea Cliff, New York. Little town by the sea isn’t so little anymore, is it??! Sea Cliffians boiled with excitement when Natalie Portman, in her all Star Wars glory, bought an old Victorian not far from the Sound. When 90’s pop idol Johnny Rzeznik bought a place for himself and his fiancee everyone really thought that this was becoming the Hollywood of the East (or at least of Long Island). But there was no excitement as palpable, no buzz as audible, as when Pirate’s Booty opened up their headquarters on the town’s main drag. With only 130 calories per bag, no cheesy chip has ever been so deliciously, naturally healthy. I do not believe that there is anyone on earth who dislikes cheese dust– that magical powder that clings to the sides of Cheetos and Cheez-Its and Sour Cream and Cheddar Lays chips, and here it is in an all-natural, real aged white cheddar form. I’m not telling you to buy Pirate’s Booty because of it’s connection with my beloved Sea Cliff, though that’s as good of a reason as any. I’m telling you because I know what it’s like to brood with jealousy after seeing a picture of Shiloh Jolie-Pitt strutting the streets of New Orleans, one little arm draped casually around her mother’s shoulder, the other clinging fast to a bag of Cheetos. Oh Shiloh, enjoy those Cheetos until your metabolism kicks in. Call me when you turn 22, I’ll send you a bag of Pirate’s Booty. I kind of know the owners. 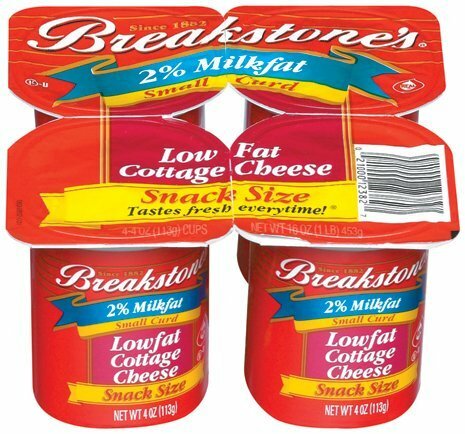 …such as Activia or Breakstone’s brands. This is the perfect office snack for many reasons. It is individually packaged so you won’t go overboard, it has 10 grams of protein and only 90 calories so it will keep you full, it tastes great in the morning, afternoon or evening, and it is plain enough for you to spice it up with some toppings, but not too bland to eat it all by itself! A few days ago the news broke that Lamar Odom has been traded and will soon be leaving the LA Lakers to play for the Dallas Mavericks. The trade is probably good for LamLam; without Kobe stealing the spotlight he’ll finally get a chance to show the world what a superstar he truly is. And though reality TV princess Khloe Kardashian is reportedly “sad” about her inevitable move to the Lone Star State, I have some news that might cheer her up. How can I set up a twitter account so I can invite Chloe and Odom for dinner one night? I am serious, would that be the only way to get a hold of her? If she doesn’t want to that’s fine, but I am going to extend the invite for a great greek dinner. I think she will come…..don’t laugh, I am being serious. Now Khloe, in my very unprofessional opinion, I’d like to recommend that you accept Katie’s mom’s invite. In addition to the delicious food and the compelling company that I’m sure this dinner will provide, you’re bound to be lonely down in Texas without Mama Bear Kris and the rest of your krew, and I promise you that Katie’s family will make you feel right at home in your new city. Kris Jenner is nothing if not a gracious host (I’ve seen her throw some elaborate dinner parties on the show! ), so I’m sure she’s told you that it’s impolite to show up to someone’s house empty handed. Here’s where SkinnyOffice comes in to help you out. Katie’s mom is one of SkinnyOffice’s biggest and most valued supporters, and you Khloe, more than anyone, understand the importance of having great fans. So when you and LamLam head over to Katie’s mom’s for dinner, don’t forget to bring a housewarming gift for your Greek host. Let me suggest that you bring a few bags of Plocky’s Hummus Chips.These hummus chips make a particularly thoughtful gift not only because they pay homage to Katie’s family’s lineage, but also because the Mediterranean-inspiration behind the chips is a nod to the Kardashian family’s Lebanese heritage. And as if these chips weren’t already great, with only 120 calories per 1 oz. bag, indulging in either the original or the red pepper hummus variety won’t force anyone at the dinner to stray from their diet. So Khloe, good luck with the move, and hope to see you at dinner soon! PS: Katie’s mom is also available for housing advice or just general girl talk. Khlo-get in touch! Two amazing things happened to me during my junior year of college. First, I hopped on a flight at JFK, flew 17 hours direct to Hong Kong, and developed an infatuation with the entire Asian continent, which is evident through the decor in my apartment (some of my friends say it’s decorated like a Chinese restaurant…) Second, on that same trip, while wandering through a Chinese supermarket, I discovered Sakeru Cheese; Asia’s answer to Polly-O String Cheese. The expiration date on this cheese is in 2017. That's a bit unsettling. I was hesitant when I first saw the red and black package. It looked more like something that Hot Wheels cars should be packaged in than artificial cheese. Luckily, the only two English words on the package were “string cheese”, so I figured it couldn’t be too different from the Twisterella string cheese I enjoy in the US. Man was I wrong! Somewhere on that package it must’ve said “pepper” or “chili” or “spicy cheese” because this was the spiciest cheese I’ve ever had in my life. It is almost as if the cheese is just a vehicle in which to pack as many Japanese peppercorns as possible. I realize that not everyone lives around the corner from Sunrise Mart, and without access to some sort of Asian grocery store, procuring Sakeru String Cheese may be difficult, but I have good news: not only is Polly-O String Cheese less greasy and not infused with tabasco sauce, but it’s lower in calories, too! If I’m reading my Japanese nutrition label right (and it’s very possible that I’m not), Sakeru cheese has 100 calories per stick and Polly-O only has 60. 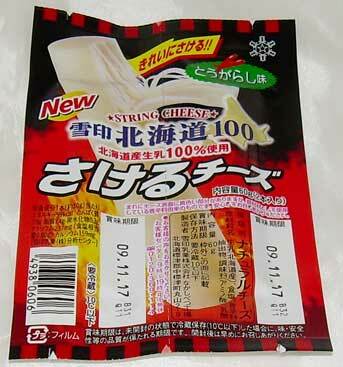 The best quality of Japanese string cheese is that it’s a good talking point. 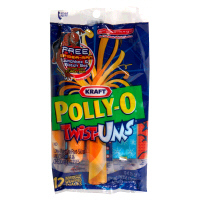 I’ve never heard of Polly-O fueling any conversations, but the last (and only) time I was eating a Japanese string cheese in a foreign airport, a very handsome man approached me. He asked me to watch his bags while he went to the bathroom, but I’m sure it was the exotic cheese I was holding that drew him to me. Apparently it's called Twist-Ums, not Twisterella. Even Miranda Priestly would approve. There’s a scene in The Devil Wears Prada where an exasperated Emily Blunt explains to a wide-eyed Anne Hathaway how she maintains her slim figure: “See, I’m on this new diet,” she begins. “Well, I don’t eat anything. And right before I feel like I’m going to faint, I eat a cube of cheese.” Emily…I feel you. Anyone who knows anything knows that cheese should not be part of ANY diet. But despite of her affection for cubed cheese, no one can deny the fact that Emily Blunt’s character in The Devil Wears Prada is the Queen Bee of Skinny Workers, and over here at Skinny Office HQ her word is basically gospel. This is how I found myself in the supermarket the other day, my basket filled with those iconic mesh bags of wax-wrapped cheese wheels: Mini Babybel Light. Buying or consuming cheese goes against just about everything I believe in, but the bag of cheese was already in my basket and the only option was to ask myself: What Would Emily Do? She would check the nutrition info, let out a sigh of relief (only 50 calories and 3g of fat per piece!) and follow through with her purchase. I did the same. Oh Emily, you are so wise. Mini Babybel Light is not cheese in the way that brie or gouda or queso (an exotic dairy delight I got to know all too well over a weekend trip to Texas) are cheeses. 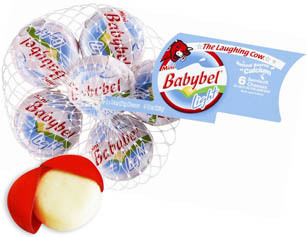 Mini Babybel is a bit more tart and a bit less creamy than typical cheese, but it is no less delicious. The Babybel website says that the cheese is “great by itself, but can also be paired with fruits, veggies or crackers if you please.” Sounds good, but let’s stick with just the cheese–Emily didn’t mention anything about fruit and she certainly didn’t mention anything about crackers. I’m still hesitant to allow myself any cheese-products after I gorged on fried catfish drenched in queso during that fateful trip to Texas (I know, I hate me too,) but Mini Babybel is inoffensive enough for me to overlook my aversion to coagulated milk and indulge. If it’s good enough for Emily it’s good enough for me.